(Indianapolis, IN) Brian Baker threw five no-hit innings in a spot start on Monday, as three Bulls pitchers combined on a one-hitter in a 2-0 victory over Indianapolis. Baker (5-0), who hadn't pitched out of the pen in nine days, was replacing Carlos Hernandez, who had a right quad strain. Baker walked the leadoff batter in the first, Kevin Melillo, and then retired 15 straight, striking out a season-high five. 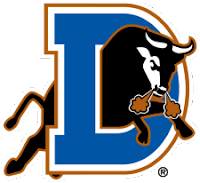 Durham gave Baker a 1-0 lead in the fifth against Daniel McCutchen when Joe Dillon doubled to right, Chris Richard singled to right, and Alvin Colina scored Dillon on a 6-4-3 double-play ball. Durham made it 2-0 one inning later on Matt Joyce's third homer of the season, a one-out blast to right. Baker then handed the ball to the bullpen. Jonathan Van Every singled to right against Mike Ekstrom on a 2-2 pitch, breaking up the no-hitter. The next pitch Argenis Diaz bounced into a 4-6-3 double play, and that started a string of 11 straight Indians hitters that were retired to end the game. Ekstrom pitched two frames, and RJ Swindle the last two for his first save as a Bull. It was Durham's third combined one-hitter this year, and seventh shutout. Durham collected eight hits, two from Omar Luna, who is 9-for-17 as a Bull. Durham (42-28) now is 3-3 on a nine-game road trip, and has tied a season-best at 14-over .500. Lefty Heath Phillips takes the mound on Tuesday against the Indians. Righty Hayden Penn starts for Indianapolis. Coverage on 620 the Buzz begins at 6:45, with first pitch at 7.